Some Hungarians have begun mocking their government on social media after noticing that billboards promoting Prime Minister Viktor Orban's new pro-family policies used the same stock photo couple made famous by the well-known "distracted boyfriend" meme. The realization about the advertisements came just hours after authorities scrambled to remove anti-EU placards (top photo). Orban, an avowed ethno-nationalist, announced in February what he calls the Family Protection Action Plan to encourage native-born Hungarians to have more children, including tax incentives and preferential loans. For example, women who have more than four children will be exempt from income tax for the rest of their lives. "This — not immigration — is the response of the Hungarian people," Orban said at the time. But people in the capital, Budapest, were quick to notice that the couple promoting the policy in city's billboards — the same pair featured in a number of low-cost stock photos — were the infamous stars of a meme used to make jokes about infidelity and indecision. Earlier Wednesday, the government appeared to be busily removing the last of a series of publicly funded ads declaring "You have the right to know what Brussels is up to!" The posters featured European Commission President Jean-Claude Juncker and philanthropist George Soros. The Hungarian-born Soros, known for funding progressive causes, is a particular bugbear for Orban, and he is regularly the target of anti-Semitic rhetoric. EU officials were so enraged at the posters that some launched calls to expel Soros' Fidesz party from the conservative European People's Party (EPP), which includes Juncker. Germany's Manfred Weber, who has led the EPP since 2014, traveled to Budapest on Tuesday to secure a personal apology from Orban. The hastily covered-up billboards had been graffitied with slogans like "A day ago this was hate propaganda." 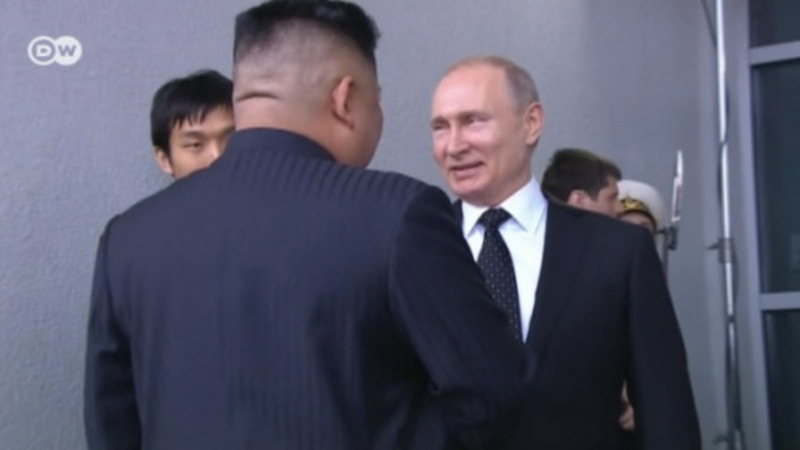 However, despite a promise to remove the material, the Reuters news agency reported they were still being printed in Hungarian newspapers. After talks, Weber said that he and Orban had not reached a solution to the dispute and that was still possible Fidesz would be expelled from the largest party in the European Parliament. Is Viktor Orban the EU's hard-line hero or villain? 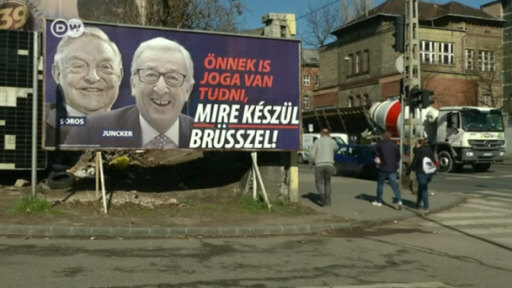 Fidesz is to take down billboards attacking EU Commission President Juncker and philanthropist George Soros. The move comes after the European People's Party, of which Fidesz is a member in the European Parliament, threatened to expel Fidesz.